Whether you are a newbie parent or a parent with multiple children, there’s always a challenge that you have to deal with…at every stage. When they are little there are challenges like training a child to poop in a toilet. Freakin’ hard! With my four older kids, I took their diapers off at 2 years old. This, according to my mother, would make them realize that urine and excrement have to go somewhere. It usually took two months until they finally understood this so we had urine and excrement on the floor almost everyday. Disinfect! Disinfect! After a while we could anticipate when it was going to happen and rush them into the bathroom. We didn’t always make it! Then I had to scoop up their turdy-turds and transport them to the toilet, making up stories about poop needing to go home. Even if Edric and I have five kids, we keep relearning what it means to be parents. The lessons never end and the challenges never cease. It’s a miracle that our kids are turning out okay so far despite our shortcomings. Yesterday, for example, I was teaching geography and told my son, Edan, that the South China Sea was to the east of the Philippines. Duh. Elijah had to correct my sense of direction. “Mom, the east is always to the right remember, which would make the Pacific Ocean to the right and South China Sea to the left of the Philippines.” He pointed at the Pacific Ocean on the globe as proof of his common sense and my lack of it. Okay, so geography was never a strength of mine. I know I am earth. That’s about it. Heck, I get lost in parking lots. The point is parenting is difficult on many levels. Teaching geography is peanuts compared to dealing with our children’s heart issues. Potty training is a simple process compared to teaching obedience, respect, treating others with kindness and deference. I could go through a list of character traits that take years of repetition to pass on to our kids. What is he or she supposed to become? What is our role as parents? How do we get them from baby to adulthood successfully? What obstacles do we need to be aware of? What truths do we need to teach them? How can we equip them to make wise choices that honor God? How do we survive each season of the parenting journey? Yes, but what about the specifics?! Well, you and I have several options. Look for mentors who have gone before us, who have raised their children successfully. Get together with other parents who are like-minded in the desire to raise their children successfully, who can come along side you. Pray for our children regularly. Read books and materials written by experts that are consistent with what God’s Word has to say about parenting and children. Attend retreats, seminars, and conferences that can educate us on how to improve, grow, and become the best parents we can be. 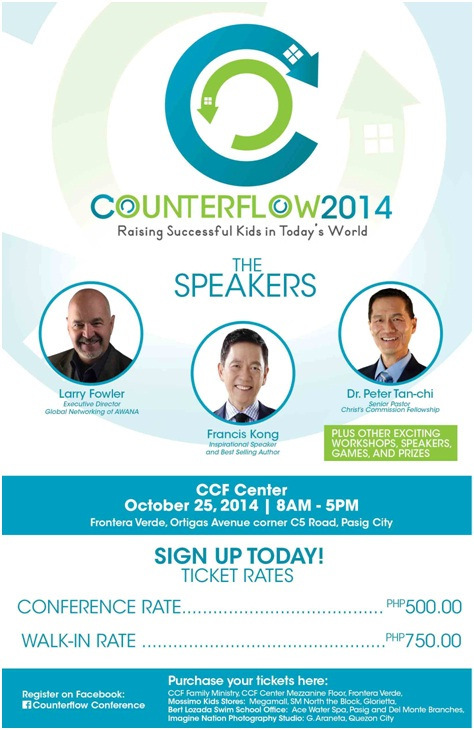 Then, don’t miss Counterflow 2014, a one-day conference for parents like you and me who are in the trenches of raising children and dealing with the challenges of being a mom or dad. THIS IS FOR IMPERFECT PARENTS ONLY! HEY! THAT’S YOU AND THAT’S ME, AND MAYBE EVEN YOUR FRIENDS! 🙂 HOPE TO SEE YOU ALL THERE! 4. 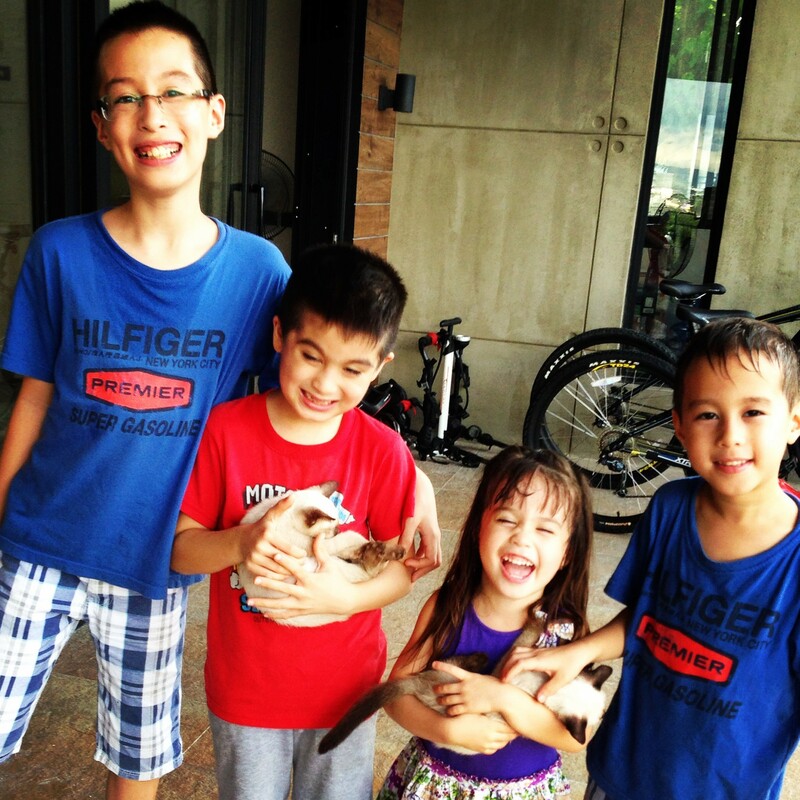 Edric and Joy Mendoza: Parenting & Homeschooling: What’s the Fit? Thank you so much! :) that’s my prayer!